Senior Researcher / Wissenschaftliche Mitarbeiterin: Alexandra Weigand, Dipl. Des./M.A. and Kristin Kastner, Dr. Historically "fashion" and "city" have been regarded as marginal phenomena within the African context. Only too often, the dominant view has been of Africa as a place characterized by provincialism and static artistic and textile traditions (Rovine 2009). This impression of Africa is especially bewildering, given that it has experienced a rapid development in fashion design since the 1990s, most significantly within the last decade. Today Africa is considered "fashion’s new frontier" (Jennings 2011:8). Not only are more and more designers and fashion labels successful internationally, but within Africa locally produced fashion - ranging from haute couture to prêt-à- porter to street style - is also on the rise. In addition to established fashion centers like Dakar, Abidjan, Lagos and Johannesburg, this urban trend has most recently been observed in smaller cities like Douala. With a "creative autonomy" previously unknown (Udé in Jennings 2011:7), Africa's contemporary fashion designers have oriented to Western fashion centers and have also networked within Africa and along a South-South axis. These developments represent an enduring change to the cartography of fashion and question the dominance of Western fashion centers hitherto neglected. The aim of the project is to uncover the interrelationships between fashion and urbanity using the examples of Douala and Lagos. The importance of urbanity has long been recognized in terms of the development of fashion in the Euro-American context. 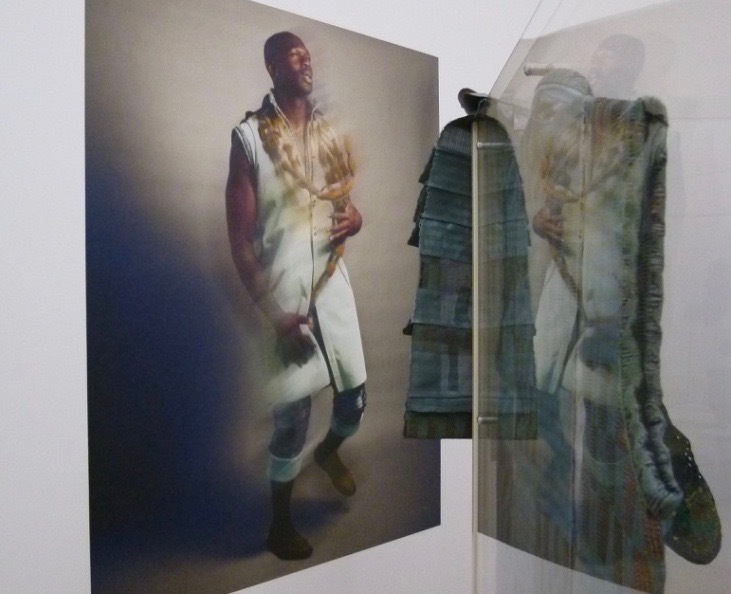 However, no scholarship has empirically and theoretically demonstrated the interwoven relationships between fashion worlds and urban cultures in Africa. Fashion is understood as an interface between significant spheres of contemporary culture. This starting point generates questions regarding the aesthetic and symbolic aspects of fashion and its contextualization as well as medial presentations. In keeping with a spatial turn we inquire into the specific places of fashion, its aesthetic and its site-specific forms of presentation (Oberhofer, Ndjio, Weigand). Further research speaks to the medial representation of fashion in magazines and photographs (Ugiomoh, Pinther). The goal of the project is not only to identify the historical connections of fashion centers in Cameroon and Nigeria, but also to arrive at theoretical conclusions regarding the role of Africa in the system of fashion's world cities.